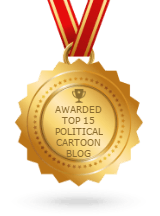 It is common knowledge that Donald Trump continues his popularity among the conservative populace who aren’t buying politics as usual anymore. They are fed up and want to see changes in the system and the White House. This makes the establishment GOP nervous as hell. Obviously, their first choice for a presidential candidate is not one who appears to be a donkey in elephant’s clothing. And they certainly do not want a candidate who doesn’t know his place in the Presidential hierarchy, i.e. a level or two below House Speaker Paul Ryan and Senate Majority Leader, Mitch McConnell. So, with Trump’s popularity picking up more steam ahead of the NY primary elections, the establishment GOP is bringing in the big guns to hopefully quash, once and for all, his ambitions of being the next President of the United States. That’s right. When all goes belly up in an election cycle, there is one person who can step up to the plate, play really, really dirty politics, and still come out smelling like a rose. Turd Blossom to the rescue. Even though the jury is still out on whether or not the GOP establishment even likes Karl Rove — who earned his screwy nickname from George W Bush — they do admit he is a mastermind when it comes to dirty politics. In fact, few people know that Rove was actually referred to as a “Teacher of Tricks” during the Watergate scandal. A scandal involving plumbers. Are we starting to see a connection here? While he doesn’t like to think of himself as a trickster, Turd Blossom does admit that the GOP is up Shitz Creek without him. Anybody still looking for a good plumber? Asked if gerrymandering would work in the case of Donald Trump and NY, he looked dumbfounded. 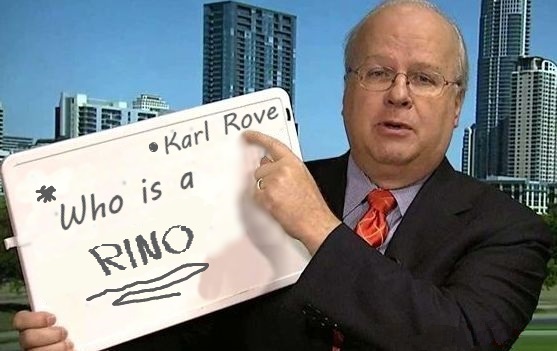 In fact, after that statement, Rove refused to give any more details of how he has been plotting to derail the GOP front-runner’s chances of becoming the GOP presidential nominee. Last seen, he was hiding in the shadows, spittle coming from his grotesquely deformed smile as he counted the millions of dollars just handed off to him by someone looking eerily like Eddie Munster. Meanwhile, upon hearing Karl Rove’s statement, Trump had his security beefed up and sent his private assistant out shopping for knee pads to match his bullet-proof vest. In related political news on the Democratic side, NY Governor Andrew Cuomo has asked for an emergency meeting with the Supervisor of Elections to see if there is any way to raise the voting age ahead of the primary to 30 in an effort to keep young Democrats from voting overwhelmingly in favor of Bernie Sanders.